Bob Products: Introducing Mr Smith | Bob Hair Co.
There’s a few tests that Bob products need to pass, and this meticulously crafted product line – made locally in Australia – passes with flying colours. Firstly, their products balance chemistry and nature. Ingredients such as organic passionflower, kakadu plum and frankincense, combined with rose geranium, macadamia oil and açaí berry have led to a line of effective products that are created with the needs of hair stylists in mind. With the notion that what we leave out is just as important as what we leave in, their commitment aligns with Bob’s: zero sulphates and parabens, no animal testing, and PETA-Certified. International in mindset, the Mr Smith creative team have been called upon by some of the world’s biggest labels, having worked at Paris, New York and London Fashion Week. 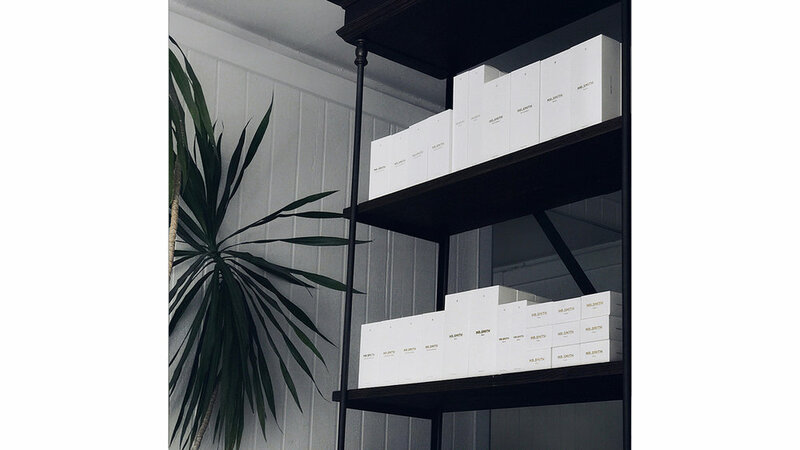 Inspired by the editorials and runways they work on, Mr Smith’s collection of products speak to Bob’s love of natural, sustainable, beautiful, and useful hair products. Next time you’re in the salon, ask one of our staff to school you on the reasons we love Mr Smith.